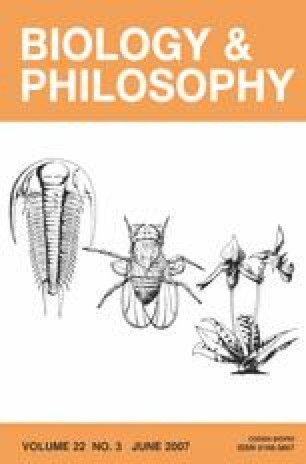 In responding to three reviews of Evolution in Four Dimensions (Jablonka and Lamb, 2005, MIT Press), we briefly consider the historical background to the present genecentred view of evolution, especially the way in which Weismann’s theories have influenced it, and discuss the origins of the notion of epigenetic inheritance. We reaffirm our belief that all types of hereditary information—genetic, epigenetic, behavioural and cultural—have contributed to evolutionary change, and outline recent evidence, mainly from epigenetic studies, that suggests that non-DNA heritable variations are not rare and can be quite stable. We describe ways in which such variations may have influenced evolution. The approach we take leads to broader definitions of terms such as ‘units of heredity’, ‘units of evolution’, and ‘units of selection’, and we maintain that ‘information’ can be a useful concept if it is defined in terms of its effects on the receiver. Although we agree that evolutionary theory is not undergoing a Kuhnian revolution, the incorporation of new data and ideas about hereditary variation, and about the role of development in generating it, is leading to a version of Darwinism that is very different from the gene-centred one that dominated evolutionary thinking in the second half of the twentieth century.